White bean crostini are my secret to presenting a beautiful appetizer to last minute guests. Nothing beats this delicious and easy dish that can be put together from foods found every day in the kitchen. From start to finish, this simple appetizer takes only 10 minutes. To turn it into a meal, simply top a few crostini with a sunny side up egg, and a meal is born. When I create a menu, such as this year’s Easter lunch menu, I always consider time. By adding a simple but flavorful appetizer to a menu, I can spend more time on dishes like my stuffed artichokes (recipe video coming later this week). White bean crostini are a great addition to any menu- year round. 1. Place the beans, sundried tomato, fresh tomato, and garlic into a medium bowl and mash using the back of a fork (or a potato masher) until only a few whole bean pieces remain. Taste and add a pinch of salt and about 1/2 tsp of good extra virgin olive oil if necessary- You will need to add a bit of oil if the mixture tastes a little dry. You may refrigerate the mixture overnight at this point if necessary. 2. Drizzle both sides of the bread with olive oil and toast in a toaster oven until crunchy and well toasted. Alternately, you can place the slices of bread on a baking sheet and bake at 400 degrees for 7 minutes, flipping half way through. When the ciabatta bread is sufficiently toasted add a bit of the mixture to each slice and serve immediately. Enjoy! P.S. Hi Uncle Butch! Thanks for reading! I have some whole wheat tuscany bread here at home and am thinking that would make a great snack, too! @Erica, Absolutely! Come on by! OH my, those look amazing. I am going to save this recipe! @Lara (Thinspired), Thanks!!!!! If you try it let me know how it goes! ive been looking for a recipe for white bean crostini forever, and this sounds great. did you toast the bread first? I love creating different combination for Crostini. I made some last night for Easter dinner. Delicious. Will have to try this. 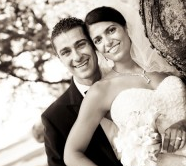 We met at Pizzeria Stella and I just wanted to tell you the blog is adorable! This recipe sounds delicious. i love any excuse to put beans in my diet! YUUUM – I looove white beans! Have a wonderful week, Sabrina! I love this recipe! How amazing, simple, and flavorful. @Sophie @ yumventures, Thank you! @Lindsay @ The Ketchup Diaries, Thank you so much!!! Yum! I am definitely making those as a snack at the next family get together! 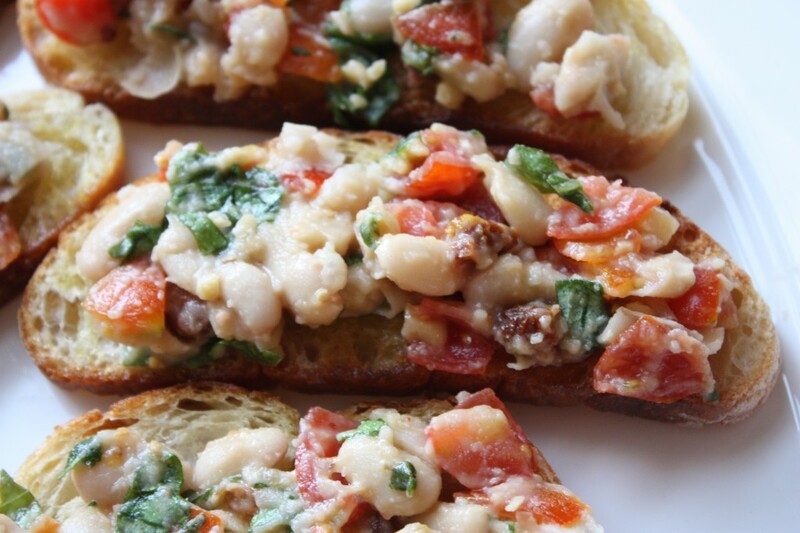 These crostini sound scrumptious with white beans! @5 Star Foodie, Hi! Thank you!! this looks so delicious!! what a great way to start a meal!! i love cannellini beans, but i would eat pretty much anything you put on a slice of toasted bread. 😉 this looks wonderful! feel free to send me your recipes any time – they’re fabulous!